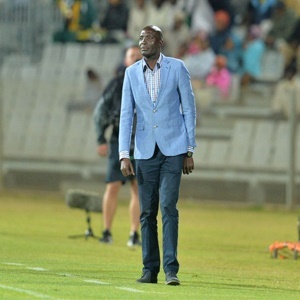 Cape Town - Baroka FC head coach, Wedson Nyirenda says his side have identified a game plan and know what to do to foil Orlando Pirates in the Telkom Knockout final. The two sides go head-to-head for a jackpot of R4 million in prize money in Saturday's final at the Nelson Mandela Bay Stadium. Nyirenda says Baroka is determined to upset the much-fancied Soweto giants in the once-off clash. "A cup final is a different stage of football," Nyirenda told journalists. "Sometimes as supporters you’ll be excited but you go out there and find out that the teams are sizing each other up. "We've put everything into our plan. We know what to do." Nyirenda added that the showpiece would be high on his list of personal achievements in his career as a player and coach. "I've played so many finals as a player and coach but this one ranks among the best. "This is my first season in South Africa as a coach and coming back to Mzansi where I won cups with Kaizer Chiefs is one of my highlights."